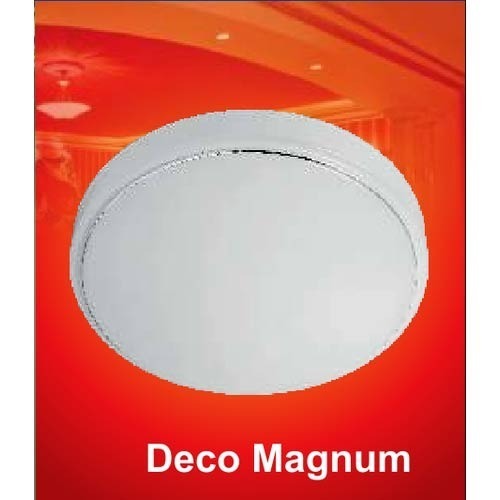 We are supplying and wholesaling Deco Magnum Panel Light. The offered product is extensively demanded in commercial and industrial sectors for protecting electrical circuits from malfunctioning during heavy loads and short circuits. This product is sturdy in terms of housing, resistant to corrosion and tolerable to temperature fluctuations as well. We Kuldevi Electricals introduce ourselves as one of the leading supplier, distributor, wholesaler and importer of Electrical Products in South India. Established in the year 1992 as a part of the Seth group of companies, we have achieved a pinnacle of success by supplying high quality products at competitive prices along with unsurpassed customer service. Our offered products range in which includes ABB Switches, ABB Switch Gears and Fuji Electric Command Switches. We offer our products under the brand name such as ABB, Fuji, LS, Hanyoung, Konio, WIPRO and others. For nearly two decades, we have served our esteemed customers the only way we know “The Kuldevi Way” — with commitment to quality, response and integrity. We import our products from Japan, Korea and China. Over the years we have continuously improved our organization culture and have also built a highly dedicated and an extremely committed team of people towards all organizational activities .All this has in-turn helped us to create an extremely strong client base and we as a company are extremely proud to be associated with them. In nutshell, Kuldevi Electricals is group of enthusiastic, creative and dedicated professionals working together to offer competency in the entire industrial electrical domain.